F. Scott Fitzgerald wrote a story in the 1920s, some years ago made into a movie, about a baby who is born old. Benjamin Button was born wrinkled, with weak bones and weak sight, to the point his father was disgusted and left him at someone’s doorstep. But then Benjamin grows in a way opposite to everyone around him: he gets younger, stronger, more youthful as the time passed. In the movie, he gets to know a little girl back when he was very old, they play hide and seek together, and as she grows older, he grows younger, until eventually they meet halfway and fall in love. It is a moving story. We can glimpse the the benefits of aging backwards – growing stronger with time, entering university with the life experience of a 50-years-old man – but also on the incongruities Benjamin is forced to face. The woman he loves ages as Benjamin grows younger, and their relationship passes from a friendship between an old man and a little girl, to a romantic encounter, to finally an aged woman caring for a little boy. It seems fascinating to age backwards and be ever younger, at first. But as the story develops, incongruities accumulate, and Benjamin’s gift reveals itself more and more complicated. I don’t know where Fitzgerald got his inspiration for this story, but it got me thinking about another baby who was born old. 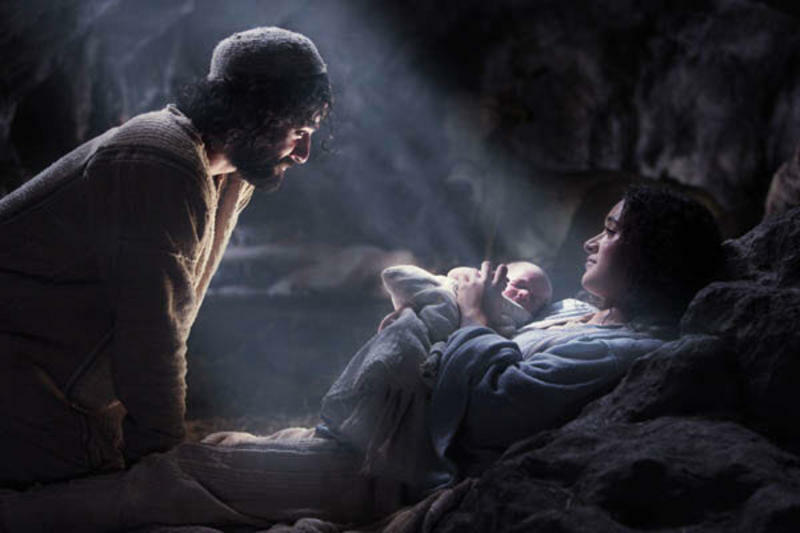 Actually, he was born way old: the maker of the heavens and the earth made into a small little boy; the fullness of God embodied in human form; the wisdom of the ages giggling and talking. At Christmas Christian celebrate the birth of the old baby, of the divine and eternal baby, of God incarnating himself into a person. Like Fitzgerald’s plot, it is a story both tragic and comic. Jesus must have faced a good number of incongruities growing up – the desire to make toys fly to impress other kids, the knowledge of his painful destiny and the temptation to walk away from it. It is puzzling to think how such a divine old life could take shape in a baby, yet… well, it did, and we can rejoice and celebrate in it. I’m glad my sons are young and human. But I’m more than glad that Jesus was born, and that he can offer God’s hospitality to strangers like us, God’s salvation to sinners like us, God’s presence to humans like us. It is a strange and curious birth, but one worthy of family gatherings and partying all around the globe, year after year, for this birth was different, and it incarnates hope for us all.